When Do hCG Levels Stop Doubling During Pregnancy? During early pregnancy, your doctor may ask you to get a series of blood tests that measure the hormone hCG (human chorionic gonadotropin, which is made by the placenta). 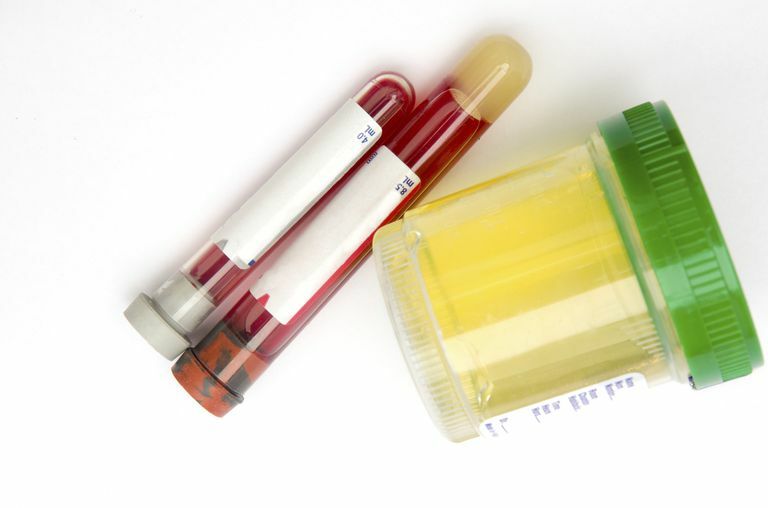 The blood tests are normally spaced two to three days apart because the level of hCG should rise by at least 60%—ideally, it should double—every two to three days in the early weeks of pregnancy. In 85% of pregnancies, the mother's hCG level doubles every two to three days, according to the American Pregnancy Association. When your hCG level is doubling as expected, it's a good sign that your pregnancy is developing normally. Your hCG level is likely to double at this rate—every two to three days—throughout the first four weeks or so of pregnancy. As your pregnancy progresses and your hCG level passes approximately 1,200 mIU/ml, it tends to take longer to double. By week six or seven, for example—about halfway through your first trimester—it may take about three and a half days. After your hCG level passes 6,000 mIU/ml, it may take more than four days to double. You can usually expect your hCG level to stop rising between week eight and week 11 of pregnancy. That is the time period during which the hormone tends to reach its peak. But keep in mind, every woman is different, so these are just ballpark estimates. Your doctor is likely to keep a close eye on your hCG level throughout your first trimester. If your hCG level is considered to be within the normal range for your stage of pregnancy (and the ranges are very wide), your doctor may never even bring it up to discuss. If you are curious about your level, ask your physician for the level. A slow-rising hCG level can be a sign of a problem with the pregnancy, such as a miscarriage or an ectopic pregnancy. This occurs when the fertilized egg implants outside the uterus, such as in the fallopian tubes, and can't survive. However, hCG rises slowly in about 15% of normal pregnancies, so it's not always a cause for concern. Any hCG level that decreases in the first trimester is nearly always a sign of miscarriage. If your hCG level isn't doubling on the expected schedule mentioned earlier, it can naturally be a source of intense worry and anxiety—especially if the reason that your doctor ordered hCG blood tests is because he or she is concerned about a potential miscarriage. But do keep in mind that if you're more than six weeks pregnant, hCG results may not be the best judge of whether your pregnancy is viable. By six to seven weeks of gestation, if your pregnancy is viable, your baby should have a visible heartbeat on an ultrasound (also known as a sonogram). Serial ultrasounds should always show growth that's consistent with your baby's gestational age, and in women who are having miscarriage symptoms, an ultrasound will give the most accurate answer to what is happening. Remember, measuring your hCG level is one tool that your doctor will use to monitor your pregnancy, but it's not the only one. "Concerns Regarding Early Fetal Development." American Pregnancy Association. "Human Chorionic Gonadotropin (HCG): The Pregnancy Hormone." American College of Obstetricians and Gynecologists (2015). "Human Chorionic Gonadotrophin - hCG." Baby2See. "hCG Numbers in Early Pregnancy." BabyMed.